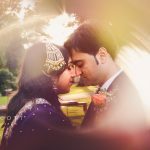 Piya contacted me through another client as she loved my work, and was looking for someone to photograph their wedding. ‘She loves my work?’…. I was already her BFF! 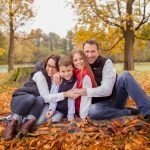 I initially explained that I wasn’t actually a Wedding Photographer, but when she said ‘we’re more than happy to be your guinea pigs’, I started to change my tune! It’s not often someone takes a chance on you on such a special day, and I was still revelling in the ‘I love your work’ part! Piya explained that they had been married a year, but their ‘legal’ wedding took place in Hong Kong, and then another in Bangladesh! This was their ‘Scottish Celebration’ & there was absolutely no pressure, all she wanted was to get ‘just one shot of Scott & I that we love’. She then told me that they were having a Chinese Lion Dance….she had me at Chinese Lion Dance!! 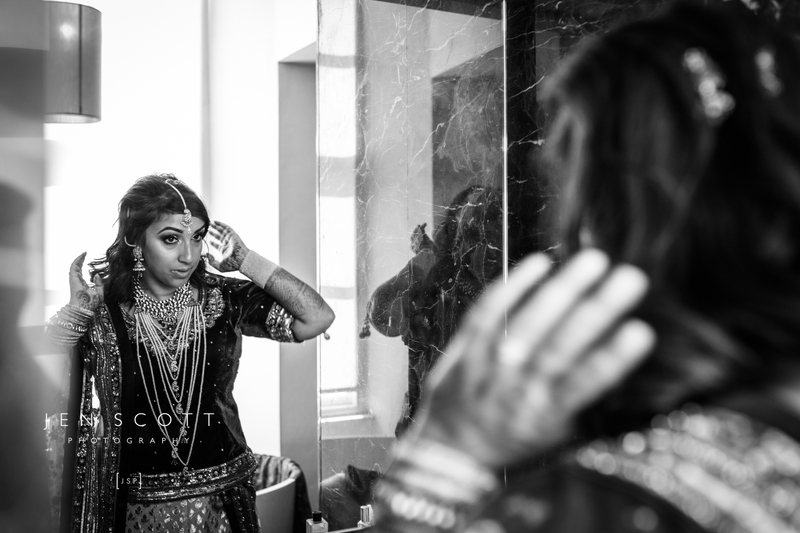 With Piya’s brief being as it was, she hadn’t been fussed about the ‘Getting Ready’ shots….but at 10am that morning I texted her and said I was on my way to The Blytheswood Square Hotel in Glasgow to capture them getting ready – I needed to ‘get’ the whole day for her, and capture those little details that I love so much! So, as I knocked on their hotel door that morning, Scott was chilling out on the bed doing some social media work, and Piya was dressed from the waist up! “Don’t mind me” I said as I barged into their serenity. What a joy that must have been for them! 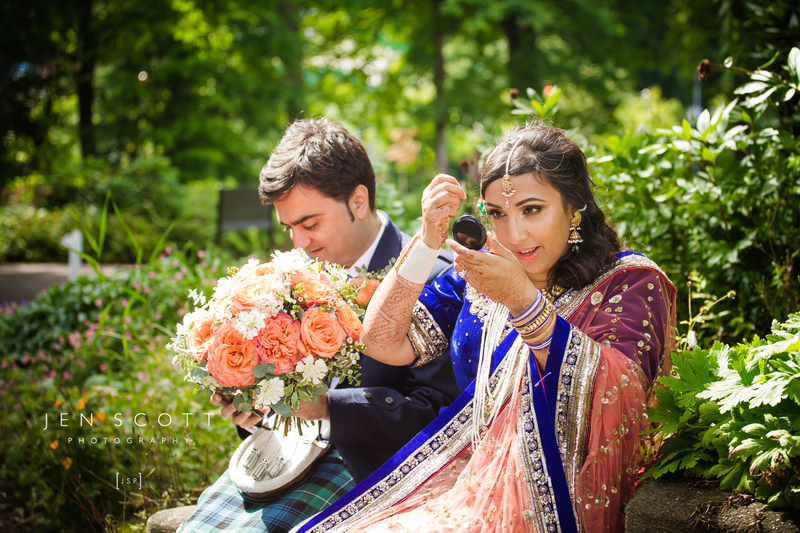 Once the wonderfully relaxed Scott was eventually ready, and Piya had all their beautiful Indian Wedding outfit in place, she stopped dead & noticed her husband in his full Scottish Dress. 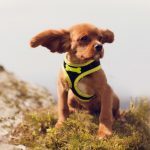 ‘Oh wow, you look so handsome’ – my heart just about melted into a puddle at that point! 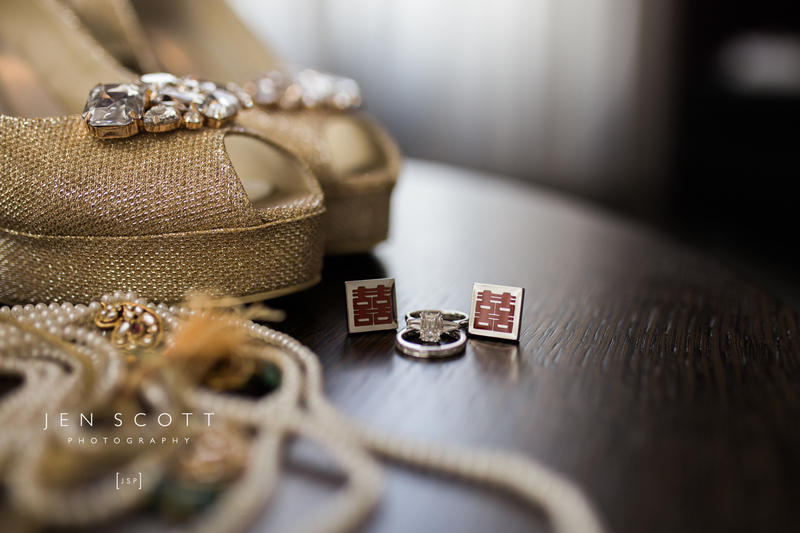 The Blythswood Hotel in Glasgow is stunning, so we simply had to take advantage of the location! Piya wanted some traditional Indian poses for her lovely mum, so I set about re-arranging the furniture in the lobby to suit the light! As you do. This day was so chilled out it was almost horizontal! 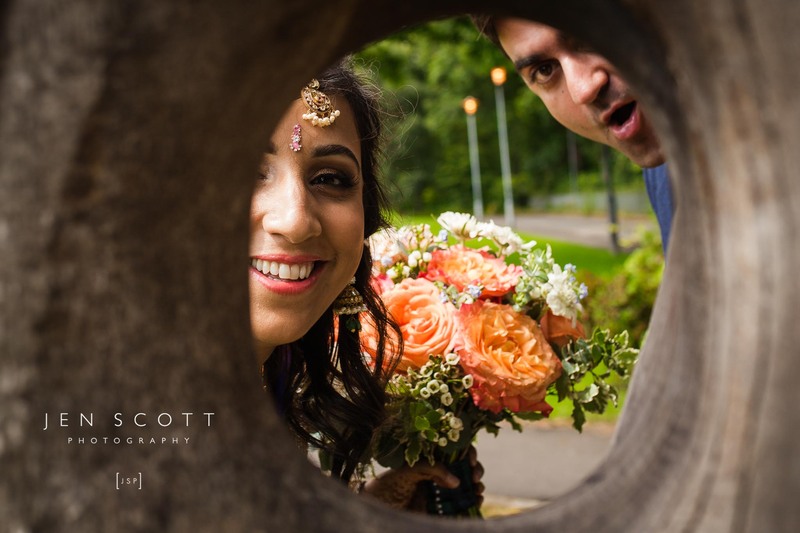 Piya drove herself and Scott to the venue in her full get up – how she managed to drive I don’t know – but I made sure to stay a wee bit behind on the drive, just incase!! 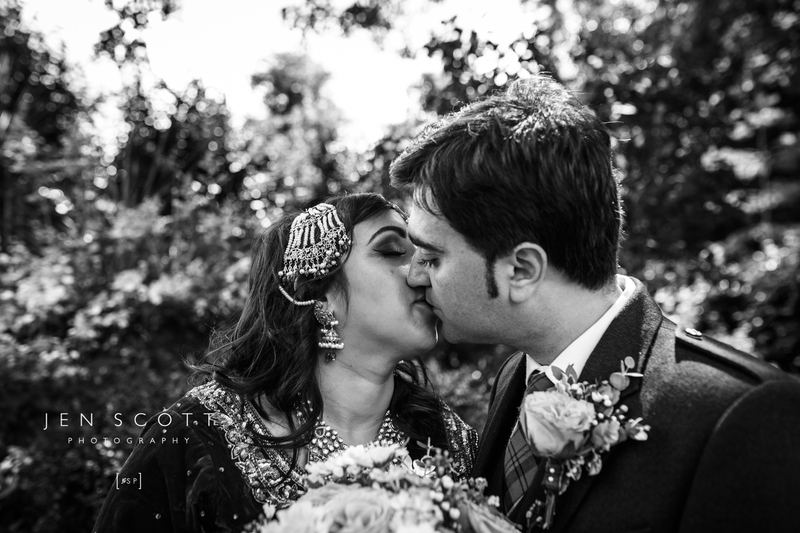 The beautiful House for an Art Lover in Bellahouston Park was the choice of venue, as Piya is a huge fan of Charles Rennie Mackintosh. Her family had been told to get there on time (apparently Indians can be quite relaxed!) 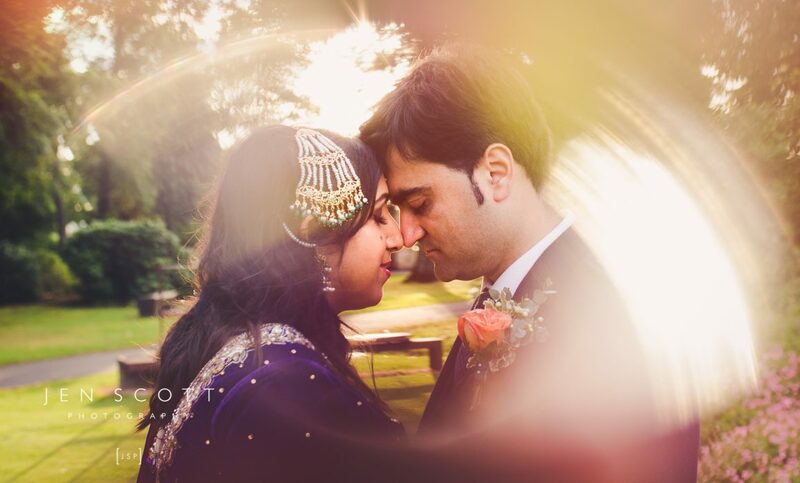 as Piya wanted photos with all the family variations – and they dutifully arrived on time! 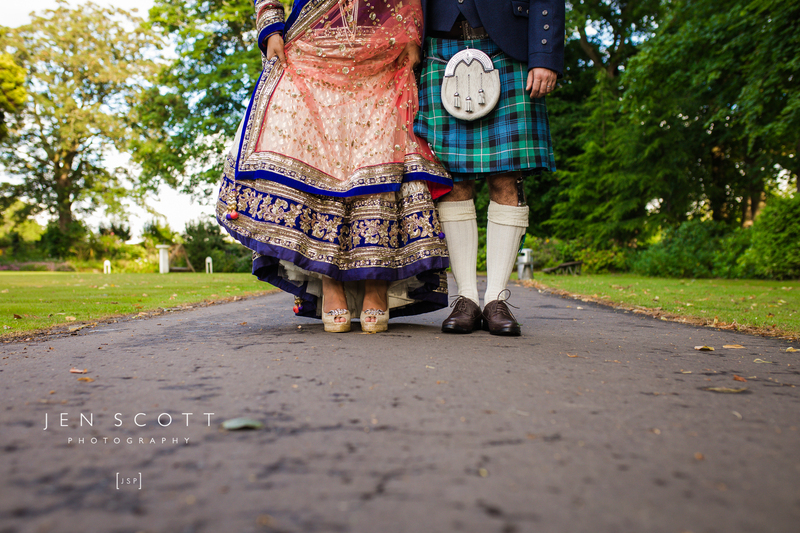 Her dad was so handsome in his Traditional Scottish Troos, while mum was wearing the Indian Sari, the contrast was a photographers dream! 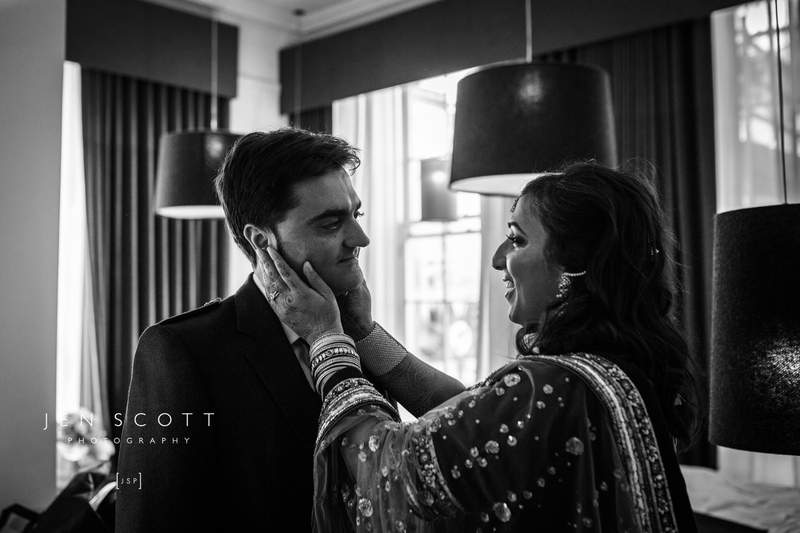 Time for those shots of Piya and Scott! 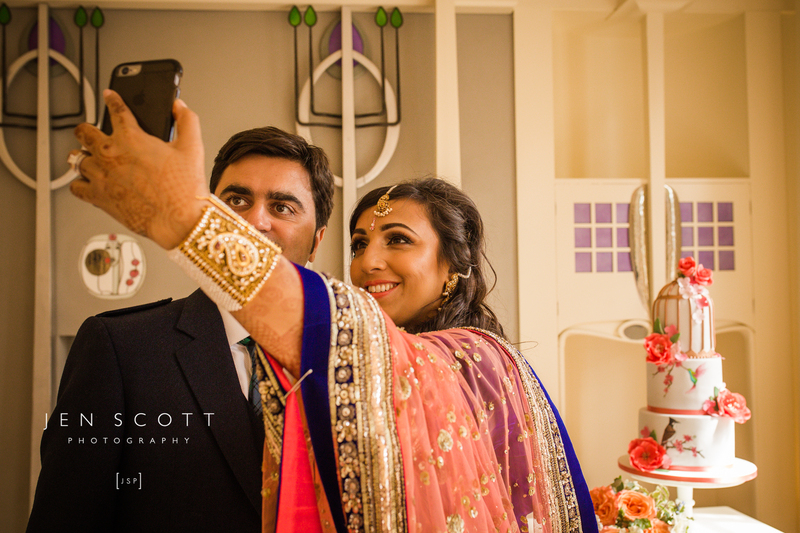 Now let me explain a few….Piya & Scott are apparently well known for their selfies, hence the all important photos of them taking selfies! 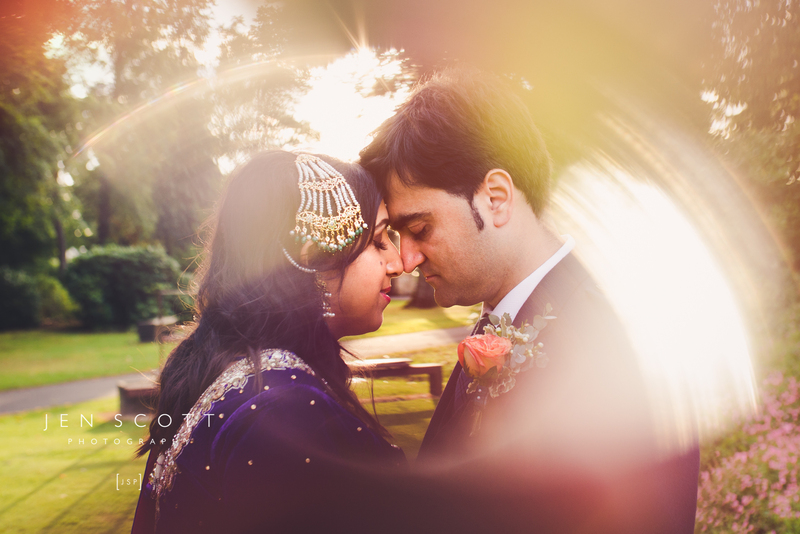 They also got a little Bollywood on me at times, making for some very untraditional, but just so ‘them’ shots! The Chinese Lion Dance did not disappoint! The joy that 10 minutes gave the guests, not just the children, was just so blooming lovely! 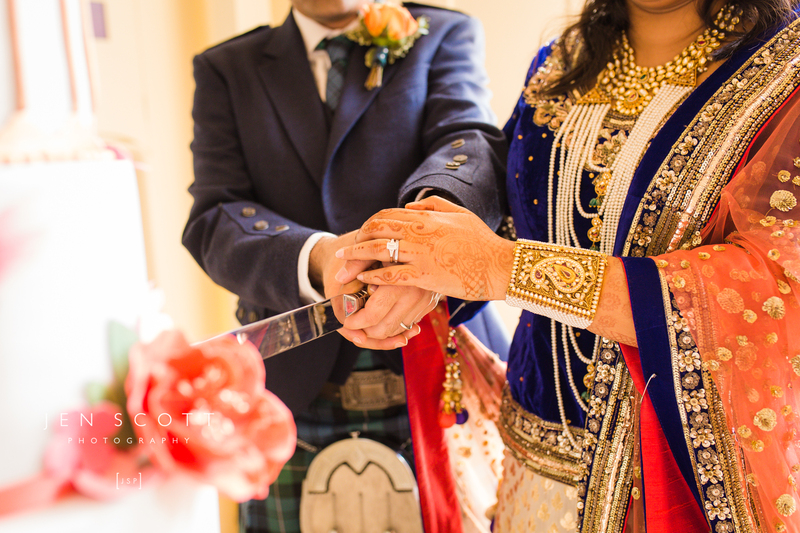 The ceremony, with traditional hand-tying, was so personal, performed by Piya’s ‘Womb Buddy’, Mish! They had readings from their best friends, and at the end, invited any of their to ‘have their’ say. It’s safe to say that this couple are so loved by their family and friends, and I can see why. The love they share is so beautiful. 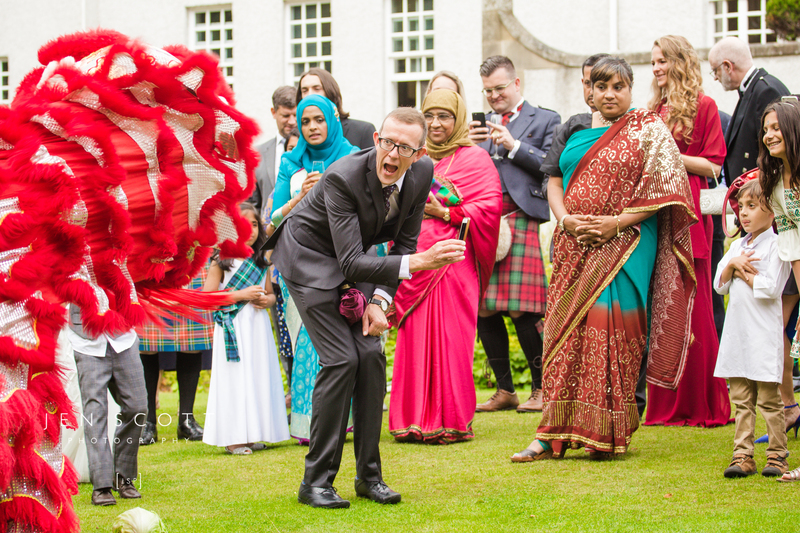 Two people who both grew up in Scotland, who maybe thought they’d never find ‘The One’ – found their soul mate on the other side of the world, in Hong Kong. Be still my beating heart! 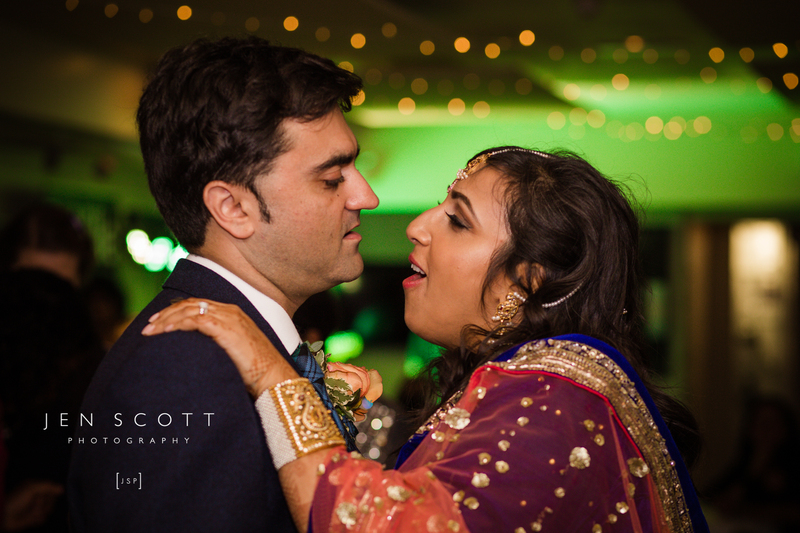 I stayed for the first dance and then a few more…guttingly leaving just before the entire wedding party got on the dance floor for a Proclaimers song!! 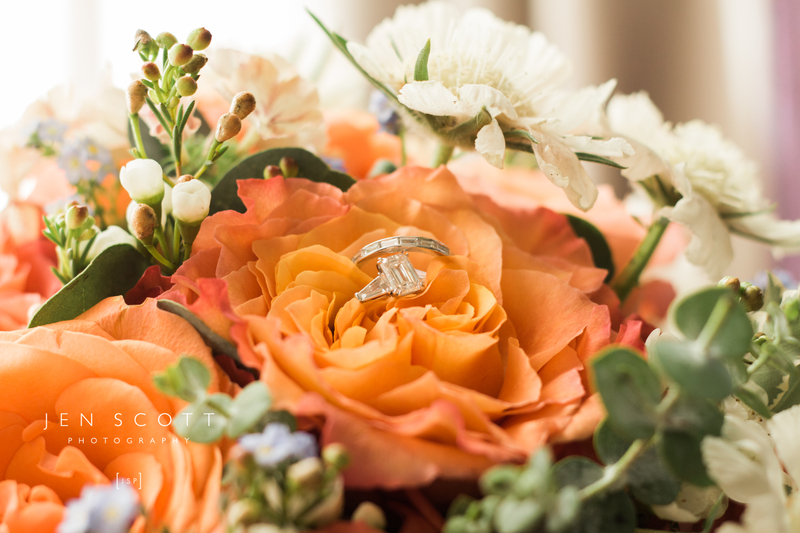 If you are looking for a wedding photographer, use the button below to get in touch!